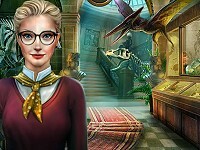 Description: Enchanted Temple is a hidden object game. Hi, my name is Saura and I live in a small village in the far east. While I was walking through the wonderful nature, I found a secret entrance to the "Enchanted Temple" by accident. It's amazing, let's look around together.. Enchanted Temple is a Hidden Object Games.